A press conference was held during the celebration of the World Tourism Day this past Thursday at Vidanta. 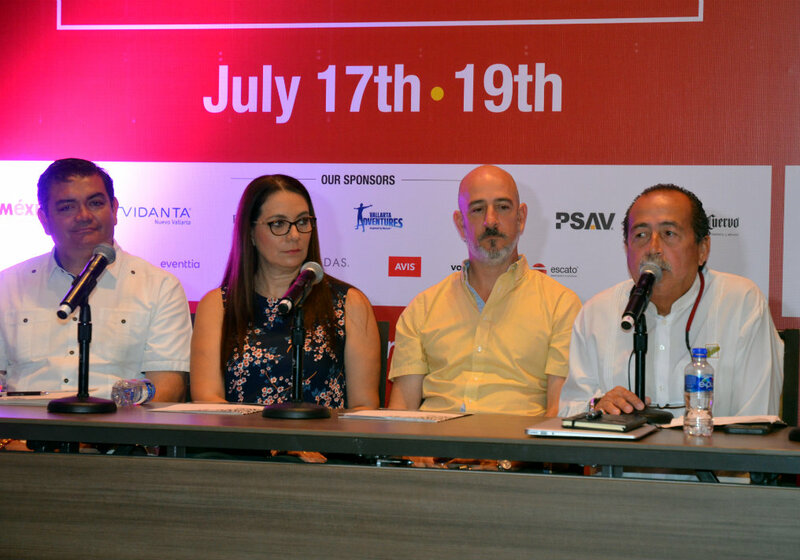 The event will welcome over 500 people in the month of July, among them the cream of the crop of the meetings, incentives, conventions, and events (MICE) sector at the Grand Vidanta Convention Center in Nuevo Vallarta. The 6th World Meetings Forum 2108 (WMF), the main event in the meetings industry, will take place from July 17-19 in the Riviera Nayarit under the concept “Passion for meetings,” which speaks to the need for continual improvement within the MICE (meetings, incentives, conventions, and events) sector. A press conference was held during the celebration of the World Tourism Day this past Thursday at Vidanta Nuevo Vallarta, the host hotel for the WMF, where they shared they are expecting more than 500 attendees, among them the top representatives of the meetings, incentives, conventions, and events (MICE) sector. 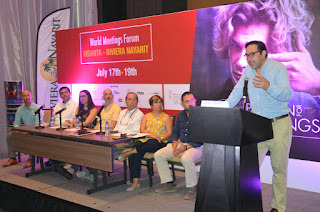 Rafael Hernández, president of the WMF, extended a welcome to their special guests, including Nemesio Castañeda Coppel, Sub-secretary of Tourism for the State of Nayarit; Jesús Carmona, president of the Bahía de Banderas Hotel and Motel Association (AHMBB); Marc Murphy, Director of the Riviera Nayarit Convention and Visitors Bureau (CVB) and the AHMBB; Juan Carlos Salmón, Corporate Commercial Manager for Grupo Vidanta; Ana Corona, General Manager for Tropical Incentives DMC; Oscar Moreno, Groups Manager for Vallarta Adventures; and Ana Berumen de Cuevas, President of DIF Bahía de Banderas. Rafael Hernández pointed out that one of the main reasons to hold this event in the Riviera Nayarit was its multi-level offer: land and air connectivity; convention centers; hotel infrastructure; level or service; and an incredible event of tourism attractions. “The World Meetings Forum is an opportunity to share tendencies, stats, predictions, and industry news, as well as securing the best business possibilities on the Table Tops with the top providers of the market, all within a framework of a holistic educational program that includes speakers, panels, and dynamic networking sessions,” he added. 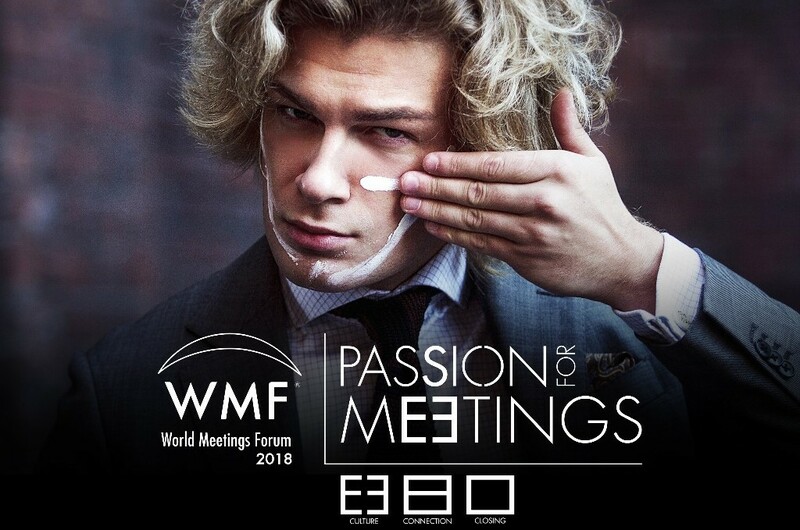 He added that this year they expect the participation of 560 people, as well as 150 national and international buyers, speakers, and special guests. Guest speakers include Michael Domínguez, Senior VP and Sales Director for MGM Resorts, and Martin Sirk, Executive Director of the International Congress and Convention Association (ICCA). There will also be a marketing panel with the participation of the Telefónica, Harley Davidson, and Mead Johnson. Among the distinguished guests were personalities from international associations including ICCA, MPI, SITE, IAEE and PCMA, among others, as well as representatives from the 12 meetings associations in Mexico. Marc Murphy, Director of the Riviera Nayarit CVB, commented the realization of this event is a fantastic opportunity not only for the host hotel, but also for the entire destination, allowing it to show off its extraordinary infrastructure and the quality of its meeting industry services. Meanwhile, Jesús Carmona, President of the AHMBB, commented on the growth of Vidanta Nuevo Vallarta over the past few years, which has translated into income and jobs for the area; he also commented on the safety visitors can enjoy in this region. 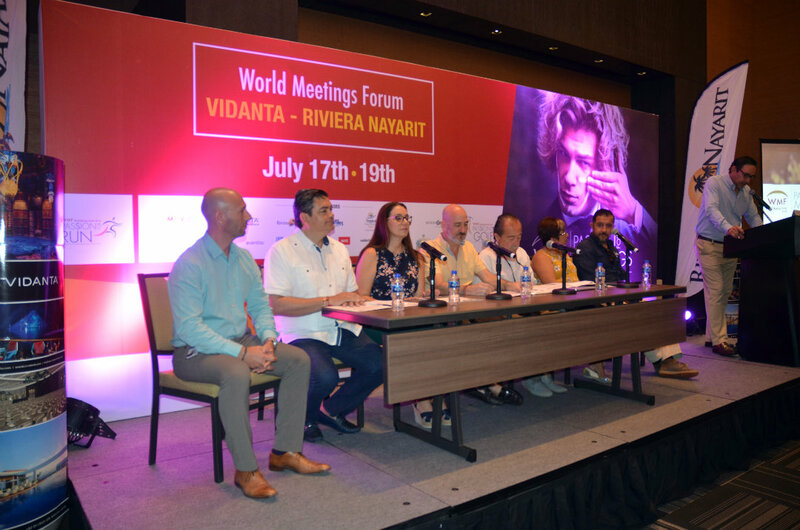 Among the novelties of the WMF is that it will be in the Riviera Nayarit where they’ll kick-off the World Meetings Forum Foundation, dedicated to the inclusion and employment of the disabled within the meetings industry. This will mark the start of the first instance when it will be put into practice with five mentally disabled persons and two physically disabled people formally hired on the WMF program to work in registration and operations. 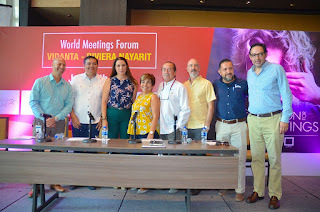 The Riviera Nayarit Convention and Visitors Bureau (CVB) and the Bahía de Banderas Hotel and Motel Association (AHMBB) continue to work together to publicize the region, reinforcing its promotion and helping position Mexico’s Pacific Treasure on the world culinary map, with the support of the Government of the State of Nayarit via the Tourism Promotion Trust (Fiprotur).